(CNS): The group of detectives arriving from the UK this week to work with the RCIPS will be partnering with local police officers and not telling them how to do their job, the senior UK cop who organized for their dispatch to Cayman has said. Merseyside’s Chief Constable Jon Murphy told the local press that the twenty officers from his police force and others from around the northwest of England, who have already begun arriving in Cayman, will be here for six weeks only and will be assisting and supporting local officers, not directing them. He said they would be here as “critical friends” to help with the workload. The senior cop, whose own trip to Cayman turned into a controversy after the UK press photographed him and the two UK senior officers who accompanied him enjoying the beach and the commissioner’s boat on their short ‘working’ visit, said he came to this islands to see exactly where his officers would be deployed rather than as a gang expert, as had been billed, but he had offered some advice regarding the issue. Murphy is currently head of the Association of Chief Police Officers, which is the body that Baines approached in order to obtain temporary officers. Murphy said that during his trip to Cayman he and the local police commissioner, David Baines, worked out how best to utilize the detectives during their time here to help the RCIPS deal with the five gang related shootings that occurred over an eight day period last month. “If I had five homicides in eight days I would need help and I have 7000 officers,” the Liverpool based cop told the Cayman press Friday as he commended the RCIPS for the work they were doing under difficult circumstances and limited resources. David Baines explained that the police detectives coming from the UK would be assisting on the investigations for the most recent murders, past cases and the robberies. They would not be deployedon the streets or be policing hotspots. The senior officers said that the UK staff would each be paired with an RCIPS officer so that they could utilize their local knowledge and the local officer could take advantage of the UK detectives’ experience. They will be involved in house to house enquiries, witness interviews, evidence gathering and preservation, they will examine crime scenes and generally help gather intelligence on the latest crimes. Four of the UK cops have already arrived on island and a further 16 will be joining them during the course of this week, all of them are expected to be here for a six week temporary assignment only, the senior officers said. Last year, the RCIPS worked with a team of 14 detectives from the West Midlands on the spate of fatal shootings in West Bay that occurred in February and March. So far, three of those cases have come before the courts but each one resulted in an acquittal. With experience of policing gang problems and having been involved in a report about the problem in the UK, the top Liverpool cop said the governor had asked him for the benefit of his experience in that area as well. Murphy said that during his visit he had met with the governor, attorney general, the education minister and other legislators to look at the gang issue here and offer some advice on how to deal with it and on possible changes to legislation. He commended the Cayman Islands for the interagency and inclusive approach it was using to tackle the surge in gang activity. The trip by Murphy and his colleague, Det Chief Supt Brian McNeill, who is also an official with ACPO, and Det Chief Supt Tony Doherty, the head of Merseyside’s Matrix squad, was paid for by the Cayman public purse. Although Baines has told the British press that the visiting top cops were putting in twelve hour days while they were here, the Daily Mail published photographs of the senior officers enjoying plenty of leisure time and, having followed them for two days, captured them on film enjoying activities which conflicted with the official itinerary released by Merseyside police. The official itinerary states that Murphy flew into the Cayman Islands 3 October, arriving at 9pm following a 16-hour flight. On Tuesday, the group started work at 10am and worked through to 6pm before a “working dinner”. On Wednesday, all three officers went for a swim before work at 8.40am, which consisted of various meetings and briefings until 4pm. They then went for another swim, then drinks and another working dinner. Thursday the men started at 7.45am to draft reports while the chief constable met the Cayman education minister. At 2pm, they went out on the minister’s boat and followed this with a coffee at the hotel. There was another working dinner at 7pm. On Friday, the final day, the group was picked up at 6.30am for a radio interview, then met politicians and briefed them on their findings. They conducted a press conference at 12pm with local reporters before heading off to the airport for 2pm and another 16-hour flight back to Liverpool in economy class. Defending the trip to the UK media Murphy said one of his reasons for coming to Cayman was to, “ensure the safety of the team of officers … was guaranteed in a hostile environment.” He admitted that “small amounts” of downtime were included in the group’s itinerary. Baines said the story in the Daily Mail was “a cheap headline-grabbing swipe” and said the visiting cops worked an average of 12 hours a day and had offered “invaluable” experience in gang-related violence. “Crikey! Look at that amaaazing creature! This just doesn’t happen folks, they rarely come out during the day! OMG, it’s coming out of it’s car! Folks they never leave their car unless to go to Foster’s or write a ticket! This is amaaaazing! It’s actually talking to the people it’s supposed to protect and serve! WOW!!! Sounds like a bad reality show… Bobbies & Bobos. Difficult to see what they plan to do in Cayman when they can't even control crime on their own patch. It includes a map of all the shootings that have occurred in Merseyside this year. Teaching Theory is one thing but that 'hands on" experience far suppercedes theory!!! 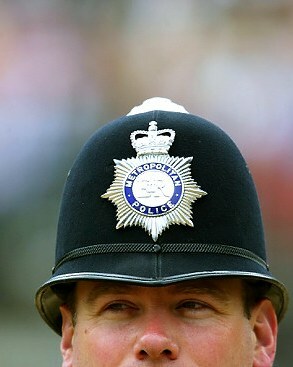 Lets keep them English bobbies here until we have the next armed robbery or the next shoot-up. Lets see how quick then will respond to the call, carrying only a pen in their pockets and a set of handcuffs strapped to their waistlines, and how they construck their case, present it to the Attorney General's office for sign-off and then get a conviction from the Courts. Please take note that the police does NOT present the case to the Courts. The case is sent to the Attorney General's office (Legal Dept) for review and sign-off. Once this is done, they (Attorney General's office) sends the case to the Courts. Lets blame those that are respponsible for the screw-ups, the lack of evidence, the poor construction of cases, for aquitttals when there should be convictions – full blame lies with the Attorney General, NOT the police. Bring in the Gang Unit from Miami, where South Beach is the norm and they won't be dazzled by beaches and bikinis. Now they are serious Police! The "critical friends and partnership" that took place about 12-18 months ago when we had the previous spike in gang style murders, resulted in "ZERO CONVICTIONS" in court. The "SOLE MURDER CONVICTION" that was secured a few weeks ago in Grand Court; came from the investigate skills of "LOCAL DETECTIVES" certainly not from LIVERPOOL ENGLAND !!! This so called partneship is an absolute waste of time and money and nothing positive will be gained, same as before. Nice sunny vacation down to the caribbean with lot's of booze, sea, sand, sun and jolly good FUN !!! How much longer are you people going to let your local and overseas Masters play you for fools? It really matters little where it's coming from, whether from the governor, premier, your local MLA, pastor or overseas detective, it's all the same s**t over and over again – how can you listen to the same old c**p without get tired of it? Do you truly think that this new sunshine squad is going to make a difference? The problem that they cannot address is the social problem that produces wave after wave of degenerates – until that problem is fixed no amount of detectives on these islands are going to make any difference whatsoever… So even though it makes great headlines on both sides of the ocean, this partnership is a big waste of time, money, and effort. Partnering with local officers ??? ?……………Yeah right !!! If we balalnce out the intinery of the Chief Constable and his staff – Probably left home at 5am Monday morning UK time to get their flights to London and then out here, arriving here at 9pm, that is actually 22 hours since leaving home. Then they started work Tuesday morning having flown the day before, and then working through the day. Even if it wasn't a 'working dinner' as CNS seem to be suggesting with their highlighting, that is still a damn hard day to anyone that has made those flights from the north of England. I know I would have been alseep on the beach that day! Then you take the flight back, having worked from 6.30am in the morning for the radio talkshow, they then did not arrive back home until at least 5pm the following day UK time. That is a total of at least 28 and half hours working (including the media briefs) before walking through your front door. Add in the hours the mail had them working (which was a full day on Wednesday), I am not surprised they went to the beach! If they were at home on a sunny evening, they would be relaxing without the Mail making out they were abusing their position. By the Mail story, they appear to have had around 3 hours in total on the beach (before the work day, or after the work day), or the afternoon as the guest of the Commissioner who took time off himself and funded their trip to see soemthing the Cayman Islands is proud of. I am inclined to go with the line taken by the Chief, what is the real story here. When we ask soemone to travel from the other side of the world and back again in five days, that they should not have any down time to get their brain in order. I suspect they won't want ot come back again, and that is a shame, as they could well have been back here prviately and at their own expense. Murphy can only use the word " partnership" because they are no more knowledgeable than the locals. Certainly don't knowterraine or the people and are highly dependent on the same locals the RCIPs commissioner tried earlier this years to embarrass. His frequent irresponsible outburst has caused this country's people much to be desired in terms of leadership. It's time he reconsiders his role as commissioner and leave this jurisdiction. I think it is time we all reconsidered our role here and leave the jurasdiction. Reading the comments on here, there is no help, advice, guidance that can be given any more. In the words of Mahatma Gandhi 'It is time to make your own mistakes'. Last one out can you please switch the lights out? instead of bringing these ppl for 6 weeks and then having them leave, govt should properly train their own det's and pay for overtime, not the 50cents for each $ that they are currently offering. It's not about training, it's about numbers of people. And some of them are very happy to be getting the 50c to the $. The US military used a similar tactic in Iraq when the militants started to gain ground. I think they called it a "surge" of extra troops to bring things under control again. Looks like Cayman is having the policing equivalent. The UK press reported that one of the Tempura team was returned early "because of an affair with a local woman". I hope Murphy warns these men that such behavior could also result in them being cod-whipped or assaulted by former or present members of the LA. Given Murphy's beet-red face in the News 27 interview, I hope he advises them on proper sunscreen and sunbathing techniques. He should also tell them about clinging onto boats with a jet-thrust nozzle, and proper handling of sting-rays. Having said that, I'm quite sure these 20 men are probably hard-working detective plods and wish them and their Cayman partners best of luck! So give me one reason why the English Cops cannot come here and sow their oats. If they see someone here and like them so what. You people need to stop the shi**^&*^t. You would swear that these cops coming here are robots. They are humans for petes sake. Get over thechildish behavior that they cannot mingle, or even fall in love with a local woman. I hope every one of them find a Caymanian woman and marry them. Although it is proving very difficult, my primary focus in all of this is the issue in regards to gang activity andthe recent killings in our community. This most recent hiccup in regards to the policing of the Cayman Islands only drives home the point that we are in dire need of the promotion, training and hiring of our own people within our police force. "A community must police itself". Sadly, once again, the colonial powers that be do not appear to believe that such a logical approach applies to the overseas territories. In regards to the role that the newly arrived officers will play, I believe that can be argued in a number of ways. While it may appear as if they will be taking it easy, it could also be said that for them to take a "backseat" approach in the process of investigations may be beneficial considering the obvious cultural, linguistic and regional divide. If their focus is to assist in improving the case building methods and capabilities within our local police service then it may be money well spent. In any event the situation is as it stands. We (Caymanians) are pretty much powerless to change the decisions and policies of Baines, Taylor and the UK. Hopefully, heaven forbid, if things do not improve in this regard and we become awash with serious and unsolved criminal activity those same entities will stand up to shoulder their proportionate amount of blame for the situation. Theoretically, by their own standards, they are doomed to failure as they are acting contrary to their own policing philosophy. It is very difficult to remain optimistic about the ultimate result. * Again, the point to be driven home in all of this is that WE NEED MORE LOCAL CAYMANIAN POLICE OFFICERS. I enjoy reading posts but Whodatis although I disagree with him almost always. Caymanians do not want to be police, teachers or corrections officers. Keep playing that sorry old tune all you want and it still sounds flat. For the simple reason that they do not want the responsiblity or the abuse that comes from working in said professions. It is interesting that Caymanians are happy to be in the fire department but the police, teachers or corrections officers, not so much. Even though you are not in agreement with me I actually gave your post a thumbs up. Simply because I agree with you. I am fully aware of the lack of numbers when it comes to Caymanians taking up certain critical roles in our community. However, like everywhere else in the world today, we are waking up to our precarious reality. I always promote the absolute necessity for us to DIVERSIFY ourselves and this issue in regards to policing is another example. Hopefully our "leadership" is paying attention to our shortcomings and are busy putting into place remedies rather than sticking to the status quo … and yes I know – that is a big hope. You are assuming that anyone can be trained to become a great police officer. Especially if your Caymanian. How has that worked so far? Never mind. Better to dream than to wake up to a bad dream. Please see the post directly below yours for an example of how to submit a differing yet respectable opinion. Sir, Madam, whomever you are, before you make outrageous comments and take the time to put them in writing you should take a few lessons in grammar and spelling. You said, and I quote. Especially if "YOUR" Caymanian. Your homework assignment for today please find the correct verbal contraction. Just so you'll know all of this escalation in crime began soon after we started bringing in foreign police officers. We had many good police officers who were Caymanian, but it is my belief that when there was so much money being made from the drug trade and our own police officers were determined to apprehend those involved, they were either taken of the case or were intimidated by some politician or other, and replaced by those who were susceptible to the wishes of corrupt individuals that had political connections. "WE NEED MORE GOOD CAYMANIAN POLICE OFFICERS"
It worked out better than "YOUR" Caymanian grammar! Why "Caymanian" grammar? The poster didn't sound Caymanian to me. Over 400 police for 40K population in Cayman compared to 7000 for a few million in England. Thats embarrassing to say we have with limited resources or….. the truth is negligent Government officials. Like our gang and robbery problem just grew overnight. You had over 10 years to do something or prepare. Its called VISION…. or wait you thought God was going to intervene or we are so blessed? Now we are paying for this again when this is part of your job to protect from years ago!! "QUOTED" David Baines, worked out how best to utilize the detectives during their time here to help the RCIPS deal with the five gang related shootings that occurred over an eight day period last month. “If I had five homicides in eight days I would need help and I have 7000 officers,” the Liverpool based cop told the Cayman press Friday as he commended the RCIPS for the work they were doing under difficult circumstances and limited resources. 7000 police in merseyside force. size: 647 sq kms. population: 1.5M. It's worse than embarrassing, it's disingenuous. hahahaha….I wanna be a COP!!!! Anyone else? I'm in! i didn't see a thing.